Loves Park Fire Department would like to thank all of the families, friends, elected officials and especially the community members for coming to the ribboncutting ceremony for the new ambulance service on April 2. It meant so much to all of us to see a packed station house of supporters. Shown top photo, Alderman Clint Little, Deputy Chief James Hart, Chief Jerry Wiltfang, Mayor Greg Jury, Dean Comady, Asst. 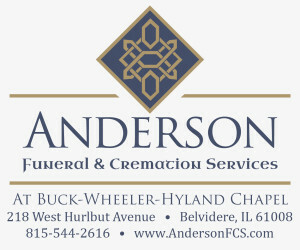 Chief Tim Conley, Alderman Jim Puckett, & Lt. Andy Whittaker. 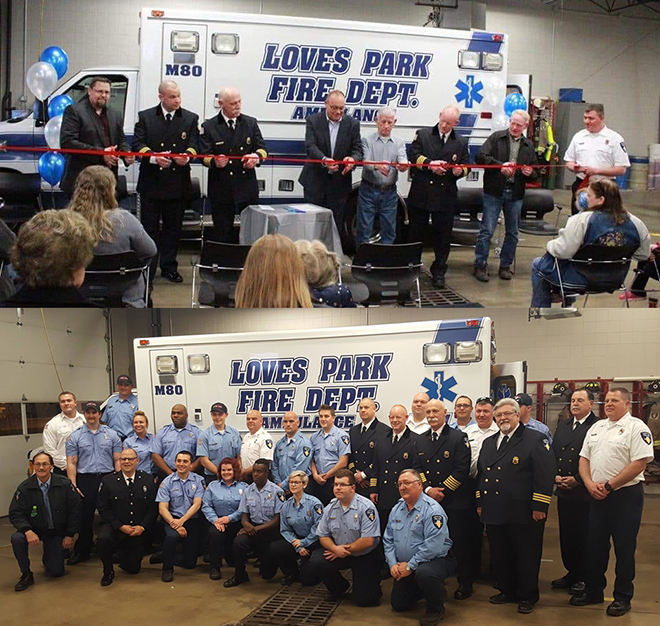 Bottom photo: Loves Park firefighters and EMS crew gathered for a group photo during the ribboncutting ceremony for the new ambulance.